Enjoy your next beverage in style! 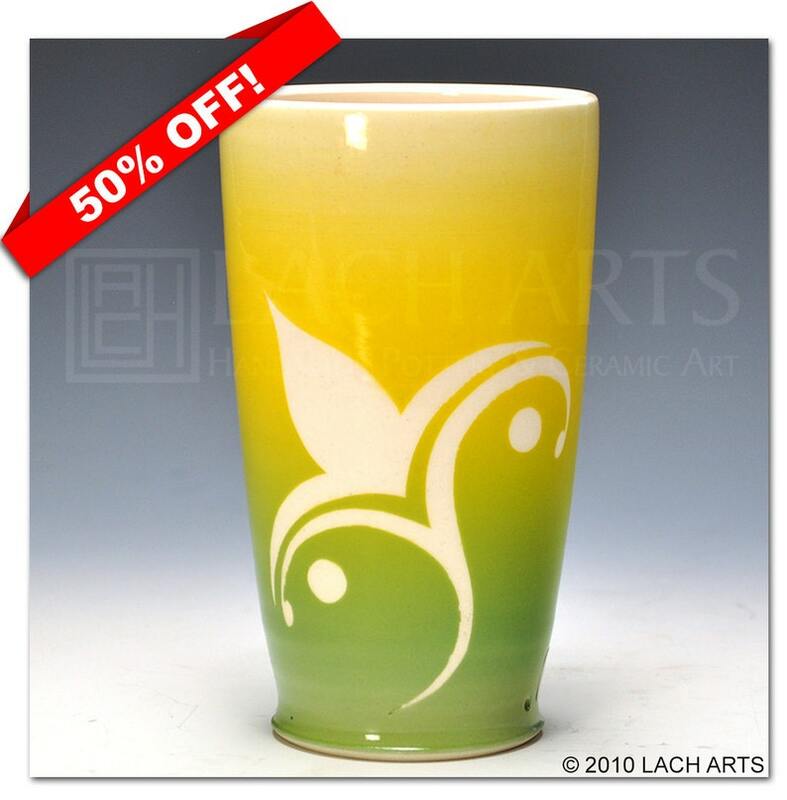 Each tumbler made by Jennifer Lachtara is individually thrown on the potters wheel, decorated with underglazes sprayed over a hand-cut stencil designed by Jennifer, and finished with a durable food-safe clear glaze, so each one is unique. Made from earthenware and fired to 1990ºF, your tumbler will be safe for the microwave and dishwasher and the small hole at the bottom of the tumbler's foot ring allows water to drain after it has been washed.